Exhaust centrifugal fans. Maximum air capacity up to 531 m³/h. Exhaust ventilation systems installed in various premises.Mounting into suspended ceiling.Compatible with Ø 100, 125 and 150 mm round air ducts. Compact galvanized steel casing.The front panel is made of ABS plastic and is equipped with a replaceable filter.The filter protects motor, impeller and air ducts against soiling.Fitted with a spring-loaded damper for back drafting prevention.Connecting spigot is equipped with rubber seal.External terminal block for power supply. Single-phase external rotor motor. Centrifugal impeller with backward curved blades.Equipped with ball bearings for longer service life.Integrated thermal protection with automatic restart.Dynamically balanced turbine. 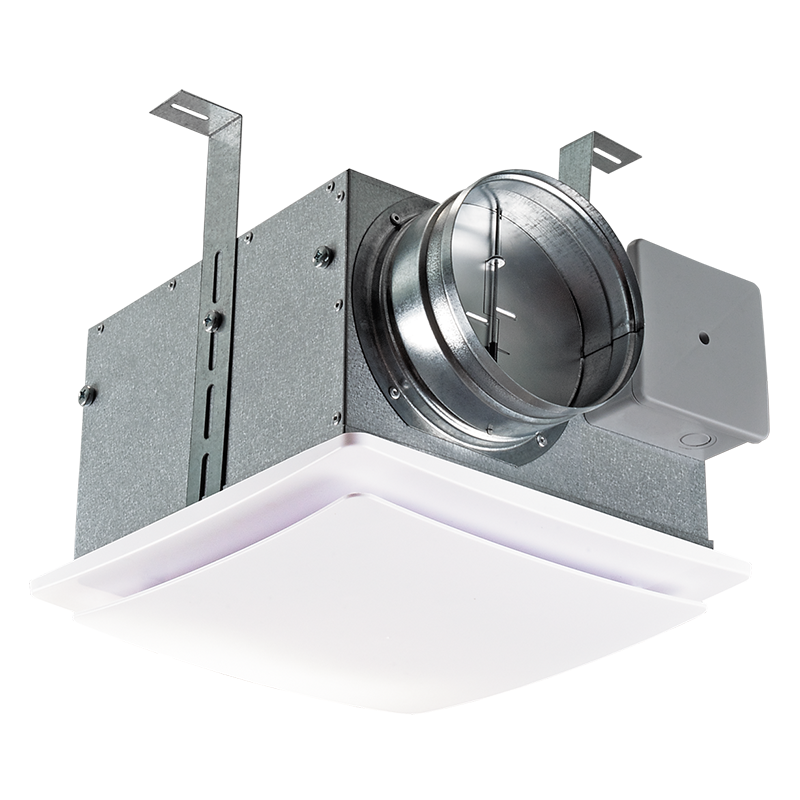 The fan is installed between ceiling and false ceiling by fixing brackets supplied as a standard.Power is supplied to the fan through an external terminal box.Flexible air duct is fixed on fan spigot with a clamp.